Yelfris Valdés debuts his new project 'For The Ones'. Cuban trumpet player Yelfris Valdés premieres his brand new band and repertoire For the Ones… on the opening night of La Linea. 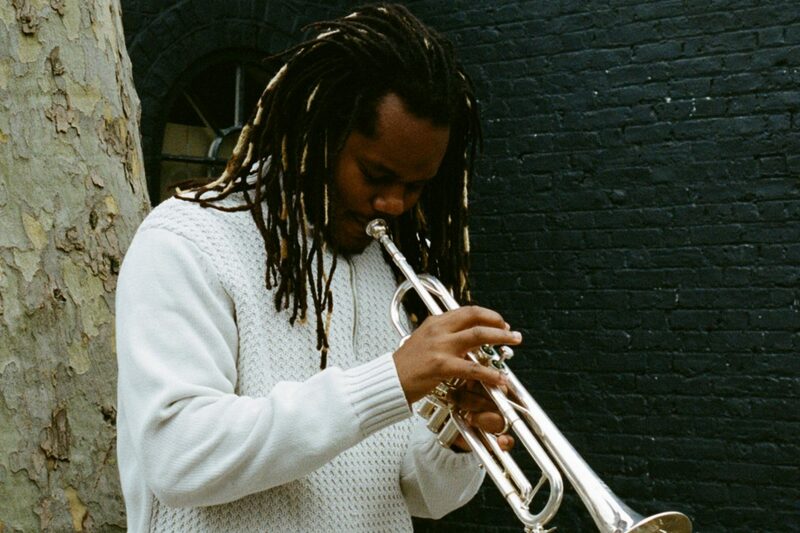 The project marks an adventurous and experimental shift in Yelfris’ composition, connecting his soaring trumpet lines with complex harmonies and electronics to an Afro Cuban rhythm section and call and response vocals. For The Ones… is a bold attempt to connect Yelfris’s own Cuban musical history to his current position as a leading player in London’s multi-faceted, multi-rooted music scene. Hear the outstanding first single Aceleyo Aña here. Yelfris moved to London in 2014 after ten years as member of the acclaimed Cuban son band Sierra Maestra. His versatility and improvisational abilities have led him to play with Yussef Kamal, Moses Boyd, Nubya Garcia, grime legend Kano MC, as well as Chucho Valdés, Billy Harper, Charlie Hunter, Sugaray, and Quantic. Opening the night is French-Spanish duo Sofree – Yasmeen Quintana and Freemachinist. Based in Barcelona, they invite you to dive into the heart of their universe: where electro-hip hop beat-making meets and merges with airy soul and Latin music. Their latest single – just released by Movimientos –Tus Olas, features Yelfris Valdés and pianist and composer Eliane Correa. Suitable for ages 16+. Under 18’s must be accompanied by an adult. See all our upcoming live music gigs.